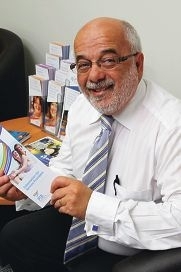 Richmond Fellowship WA CEO Joe Calleja. A PANEL to drive a new mental health Recovery College model was announced today, with information sessions to follow. An expert panel has been appointed to oversee the new model’s design, co-chaired by Richmond Wellbeing former chief executive Joe Calleja and registered mental health nurse Tandi Kuwana. The State Government had promised such colleges in Wanneroo and at or near Royal Perth Hospital before the last State election and $200,000 was allocated for the project in the State Budget. Recovery Colleges will provide an education platform for self-directed recovery. Mental Health Minister Roger Cook said the State Government was committed to providing more options for people experiencing mental health and co-occurring alcohol and other drug issues. “A Western Australian Recovery College will aim to help an individual’s recovery through an education-based platform and by reducing stigma related to mental health, alcohol and other drug issues,” he said. “This panel consists of a range of representatives from different backgrounds which all bring a unique perspective. Two community information sessions on Recovery Colleges were hosted by the Mental Health Commission in Wembley today with a further two to follow tomorrow at 1pm and 5.30pm. Visit http://www.mhc.wa.gov.au/recoverycolleges for more information.